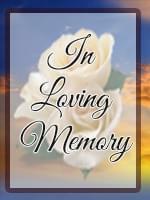 Scott R. Solberg, 60, resident of Mesa, Arizona passed away at his home on November 28, 2013. He was born July 21, 1953 in New Richmond, Wisconsin to Diana Beaudette and was later adopted by Lloyd E. Solberg. He was employed by Shamrock Foods for the last 16 years. He loved football, especially the Green Bay Packers and the Wisconsin Badgers. He also enjoyed watching the Arizona Cardinals. He is survived by his wife of 40 years, LaVon Hahn Solberg, his brother, Todd and his wife, Kristin and their son, Alex. He was preceded in death by his mother and his grandparents. A Memorial Service will be held at 11:00 AM with a visitation at 10:00 AM on December 4, 2013 at A Wise Choice Desert View Chapel, 9702 E. Apache Trail, Mesa, AZ (480) 626-6363. My condolences. I worked Inventory Control at Shamrock with Scott a long time ago. He was a good man. I’m saddened by the news of his passing. Sorry to hear about Scott’s death. My sympathy to his wife and family. Scott was my college roommate. LaVon, I am extremely saddened to hear of Scott’s passing. What a wonderful man. My thoughts are with you.